Right about now, this could happen: you receive a note asking your child to create, design, decorate and label thirty Valentines. Now multiply that times the amount of school-aged kids in the house. So that would be sixty for moi. This year I decided to do a card “toppings” bar and turn the dining room table into a smorgasbord of googlies, glitter pens, stickers and gems. I know. Gang-busters. 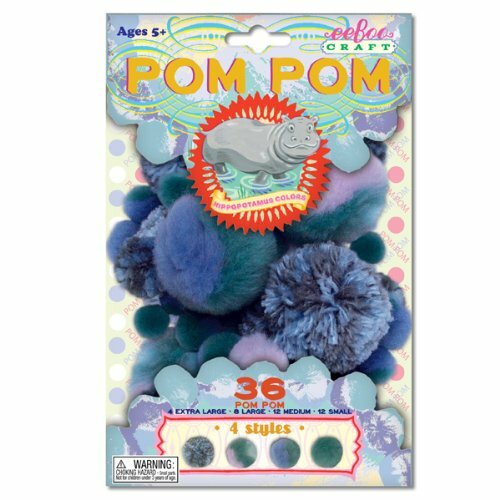 But the star of the show might be these eeboo pom poms (which come in awesome shades like “Crab” and “Flamingo”). Lemons are now you-know-what.